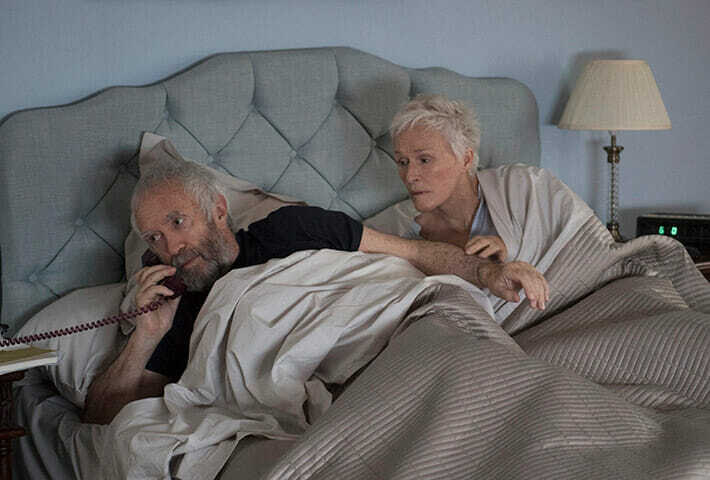 The Wife is the story of Joan Castleman (Glenn Close) and her husband, notable literary figure, Joe (Jonathan Pryce). The Castelman’s have been married for over forty years. Joe is braggadocious, obnoxious, vain, crass, and self-congratulatory. Joan is softspoken, self-possessed, smart, supportive, and elegant. Joe lauded as one of the ‘literary greats’ and Joan is the diplomatic dynamo keeping their life (and his career) drama-free, on track and their family intact. After years of releasing novels to literary acclaim and accolades, Joe’s in consideration to receive the Nobel Prize in Literature. He’s a star and she’s the anchor that tugs gently to keep him within the Earth’s orbit. This dynamic is immediately evident when the call comes in confirming his Nobel win. It’s a joyous moment for them both that swiftly morphs into the daily routine that is Joan’s management of his life. Joe’s heaped with praise and verbal cuddles before the caller turns to Joan detailing all the ways in which she can make his trip and the ceremony go smoothly. But, Joan Castleman isn’t a “wifely underdog”, she’s the personification of life on the road not (often) taken. As Joe and Joan prepare for the Nobel Prize ceremony you begin to realize Joe doesn’t give a single damn about his family. Almost immediately, it becomes obvious that there’s something seriously off with Joan. She’s strangely noncommittal when a reporter comes around implying that Joe’s Nobel win isn’t deserved. This is where the storytelling gets interesting. As their life unfolds – in realtime and well-timed flashbacks – you learn that Joan is the talent behind his greatest works. It becomes readily apparent that without Joan, Joe has no legacy. Because Joe’s mediocre writer finding little success in the publishing world after losing his job as a professor (getting caught having an affair with a student can have that effect). It’s not until after Joan realizes it’s highly unlikely she’ll see success in her own name, that he finds his feet. Because Joe and Joan become partners…of a sort. But through the years and the acclaim, Joe’s lost sight of everything but his own greatness and he’s on very thin ice. Swedish director Björn Runge makes smart cinematic choices to build a world with a modern look-and-feel that created a backdrop that urgent and pressing for this slow-burning drama to impart its secrets with a stark realness that juxtaposed well against the softer, more hazily lit, flashbacks into the couple’s past. The shifts were as smooth as Joan’s expression consistently remains, riddled with subtle tension and bitterness as Joe’s callous disregard for his marriage and wife becomes increasingly brazen. 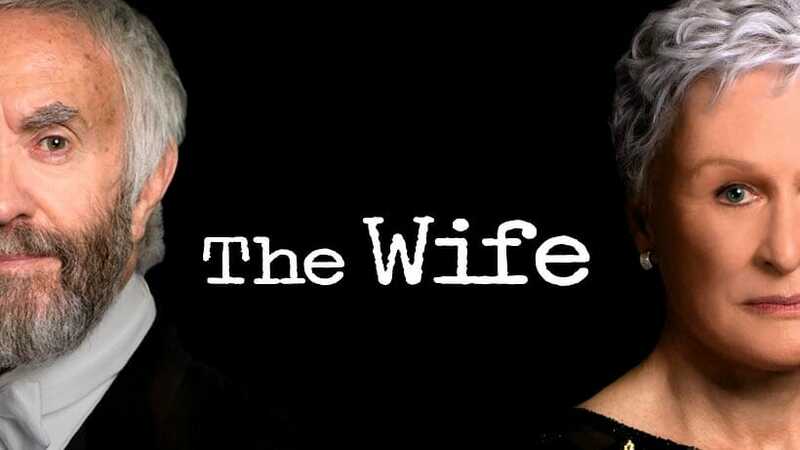 The Wife brilliantly adapts a rather so-so novel into a visually compelling and dynamic story about the disintegration of a partnership. Joan isn’t by any means retiring and accepting of her lot in Joe’s life. She’s resentful and increasingly out of patience. Joe’s blatant dismissal of her in public spaces begins to rub her the wrong way. What was once an agreement that served both their dreams, is now a one-man-show. Joe’s forgotten himself and takes Joan’s silence and capitulation for granted. What makes this plot work is it’s rather obvious that Joe holds no power in their relationship Joan doesn’t give him. 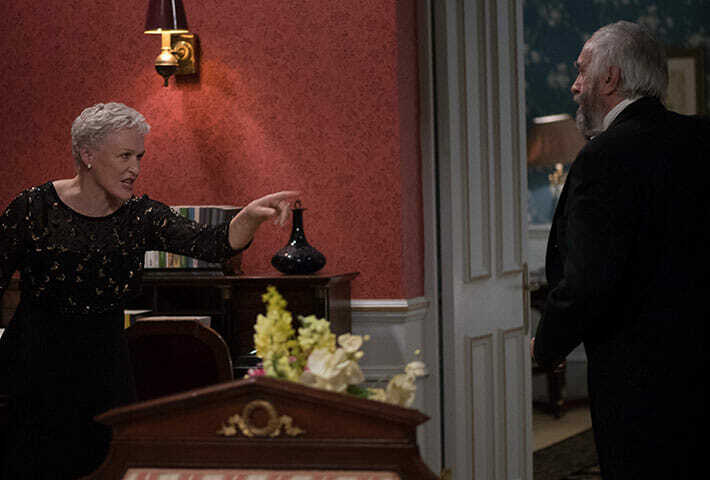 Glenn Close and Annie Starke as Joan Castleman make up a compelling character and tell the story of a woman determined to find a way to leave her mark; even if she had to sneak in through the back door to do it. Jonathan Pryce is the perfect foil for Close’s refined but combustible roleplay. The pair gives a master’s class in how to give robust performances full of angst, ego, and animus without crutching on raised voices to bring the emotional punch. 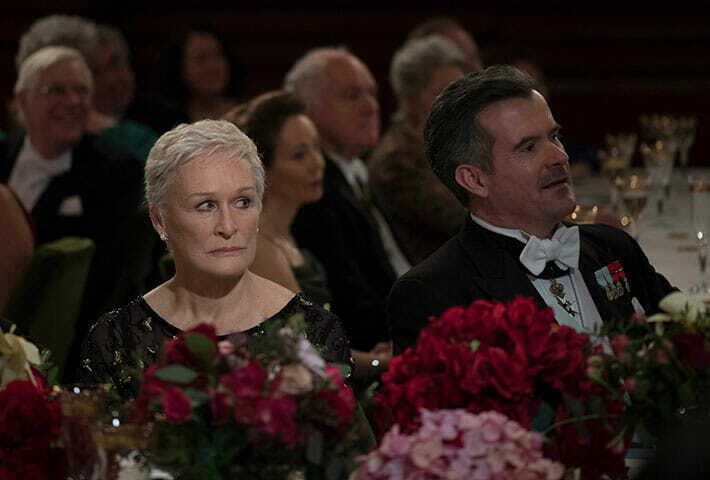 The Wife is a brilliant commentary on the female sublimation of self with subtle subplots that showcase a feminist archetype rarely put front-and-center. I was fascinated, draw in, and enthralled watching this couple confront years and years of frustration and disrespect. 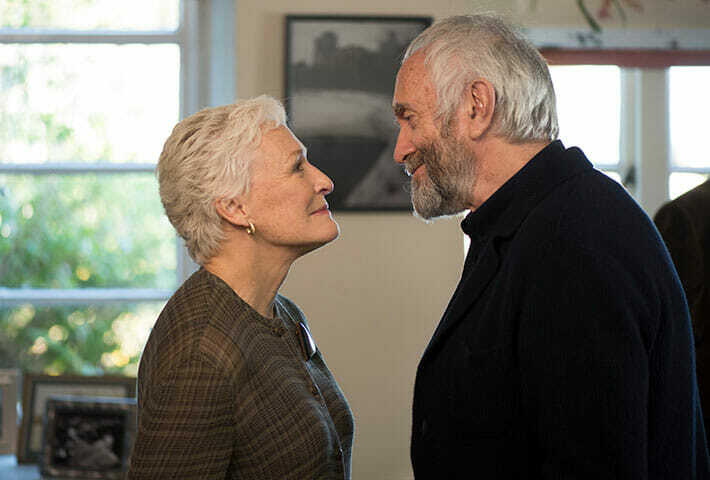 At first blush, The Wife appears to be just the latest film offering an introspective look inside the family/marriage dynamic. You know the ones I mean, movies with stories centered around women who fills the role of “wife” to a T suffering through typical “family” high drama yet still seems to check all the expected ahem Oscar ahem boxes of the female underdog who comes into her own (maybe) by the end of it all…but this story turned out to be much deeper and far more interesting than that.